Approaching the critique group with such a wild beast of a manuscript is a challenge. I'm guilty of critiquing out others subversive attempts too. So I'm becoming a student of the subversive. Today I want to look at the class of books where the parents are missing, but really aren't "missed." A great picture book rule is to get rid of the parents. But as critique partners who are parents, it is really hard to read manuscripts without thinking, where is the mother? "A lot of good tricks. I will show them to you. Your mother will not mind at all if I do." Critique: As a mother, I would certainly not want my children to think it was okay to let a strange apparently adult Cat and his two Things in the house while I'm out on a very important errand. But if I'm there, they miss this insane experience, and would never learn how well they can handle themselves in a difficult situation. "It was midnight when the dancing and the howling began." Critique: You can't have a small child running around climbing to the top of an apple tree at midnight! But one can't be scared of nighttime, and every child should get to experience it. And if I was there, he wouldn't have come up with such a wonderful solution to get the moon unstuck from the tree. 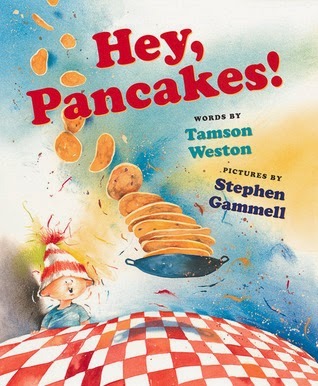 "A pancake here, a pancake there. One in the pan, and three in the air." "Then the sun came out and we swam together. We rode the waves as if they were horses." Critique: So...there's a sea serpent in the bathroom and Mom hasn't noticed? What. Are there any rules in this house? You can just go the beach by yourself carrying a giant sea serpent? That's not how we roll in my house. But I've read this book 100 times, and I don't recall ever missing the parents. They don't really matter. This isn't their story; it's the story of a brief and extraordinary friendship. Red marker in hand a lonely girl creates a boat, flies on a carpet, and saves a magical bird. Critique: A little girls shouldn't be running around in a fantasy world, nearly falling off waterfalls, and battling knights. 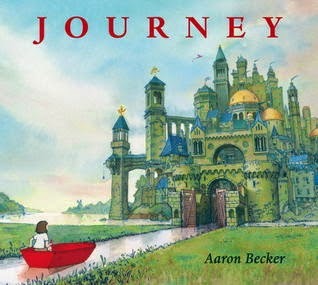 But, in this beautiful wordless PB, the parents sort of choose not to be in the story. They are cooking dinner and working, and there isn't enough time. I think that's very relatable. Then little children have a lot of responsibility for making their own fun, and that's an awesome responsibility to have. What are some of your favorite PBs, new or old, which you would classify as "subversive?" I'm planning a post on "Slightly Scary" and "Nakeyness," but I'm sure there are other subversive genres I haven't considered yet. 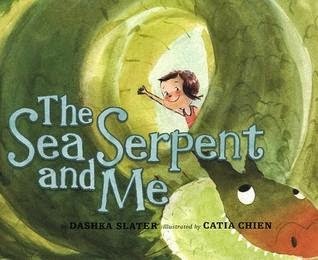 I just adore that sea serpent book! But I tend to anthropomorphize my subversive MC's. Ah! That thought rings true with many books I can think of. One book that I really love is the virtually wordless Christmas-themed picture book "Small Medium & Large" by Jane Monroe Donovan. The illustrations are gorgeous, but there's something missing, ah yes, the parents. They are not in the book at all. And they aren't needed. Their absence adds to the feeling of loneliness felt by the little girl MC who asks Santa for a friend for Christmas. Highly recommended! Oh! I'm adding that to my Goodreads want to read list now. Thanks for contributing! Oh yes, I consider potty humor a specialty art! You know, I have absolutely never had an issue with missing parents in children's books. 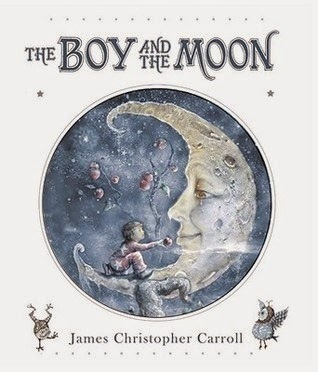 There are some books meant to include parents or other adults, like teachers, etc., but many are purely meant to be a story, a fantasy, and most kids know that's what they are, just as most adults can tell the difference too. They're in it for the adventure and the ride, experiencing things vicariously, regardless of what kind of adventure that is. One of my all-time favorite picture books are Jon Klassen's I Want My Hat Back and This is Not My Hat. They are brilliant! I remember reading a post about some people considering this too subversive and inappropriate for kids 'cause it doesn't teach them how to reconcile a problem like this peacefully. I mean, come on. It's a joke! Do they think kids don't "get" the joke? And if they don't, why wouldn't a parent explain it's meant to be funny? 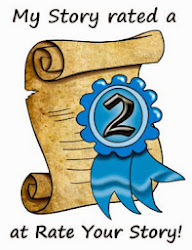 Honestly, I'm not really one for bathroom humor or including things like leg-losing zombie ballerina's for kids, but for the most part, funny, independent and adventurous isn't just meant for middle grade and up. I was in a PB class last month and most people were listening to This is Not My Hat for the first time. There was some tension in the room with growing uncertainty about how to feel about the book. Finally, a woman in the back said, "Y'know, I think he might have eaten that small fish." BWAA HAA HAA. Yes, I think he might have too. Arlene Sardine is a favorite in our house. Arlene just can't wait to be a sardine--aka dead fish in a can. It's an awesome story! Added to my Goodreads list. That looks positively subversively delightful! Subversive Picture Books (Part 2)- Nakeyness!